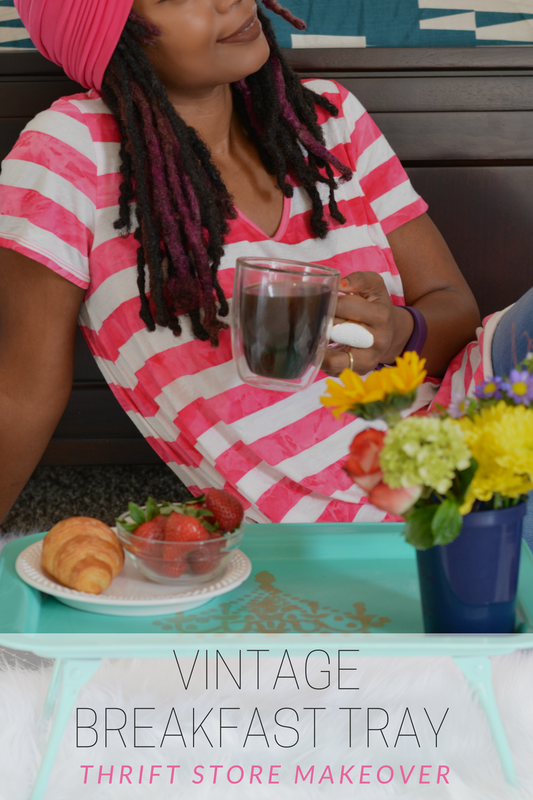 I bought an old vintage breakfast tray at Goodwill a few years ago but never used it. The avocado green and orange color scheme didn't really appeal to me. It's been tucked away in a cabinet. A part of my daily routine is to grab coffee, snacks, my phone and incidentals and cart them up to my woman cave. I had a lightbulb moment and suddenly remembered the ugly flower tray! 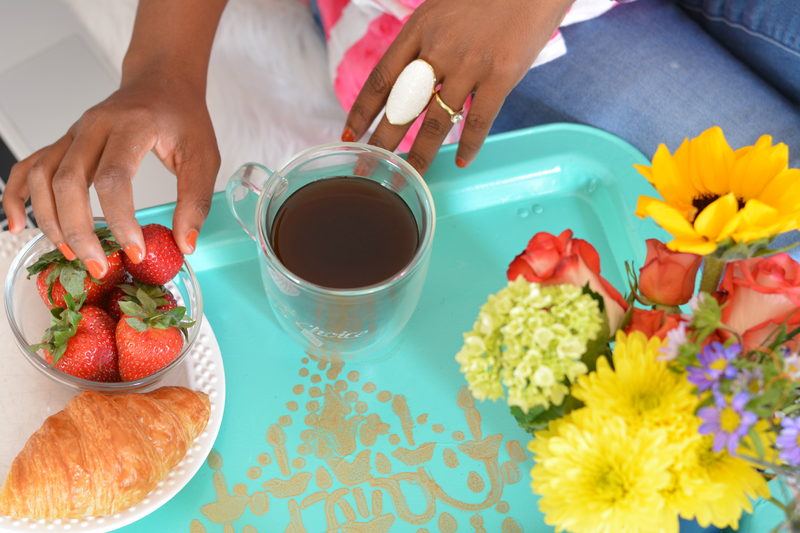 A breakfast tray is perfect for a home office. It certainly makes things easy when shuffling between workroom and kitchen. I can also use it to gather supplies from my craft tubs. It's a great tool to have on hand for carting stuff around from room to room. You can certainly have breakfast in bed or set up breakfast in bed for a loved one with it too. 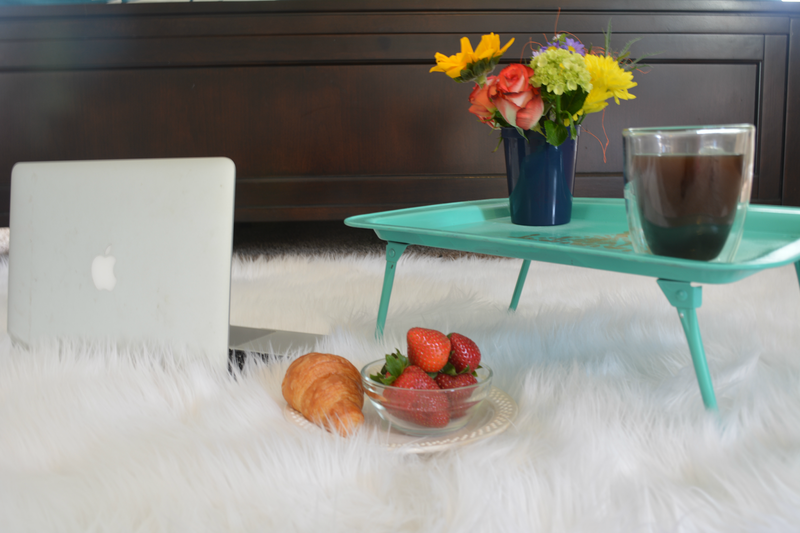 Today it's my morning serving tray complete with fresh cut flowers, a light breakfast, and much needed coffee. I am a cup (or two) a day coffee drinker and I'm still participating in the NESCAFÉ® Taster’s Choice® challenge. I'm loving how easy and convenient instant coffee is. It's so simple to make. Add a teaspoon of coffee to cup. 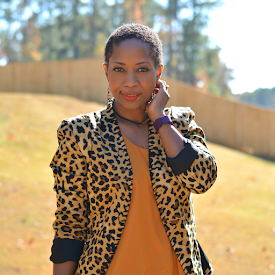 Stir in boiling water. Sip and enjoy. It's so good too. Likely due to responsibly sourced beans that are roasted and brewed to deliver the perfect well-crafted taste every single time. 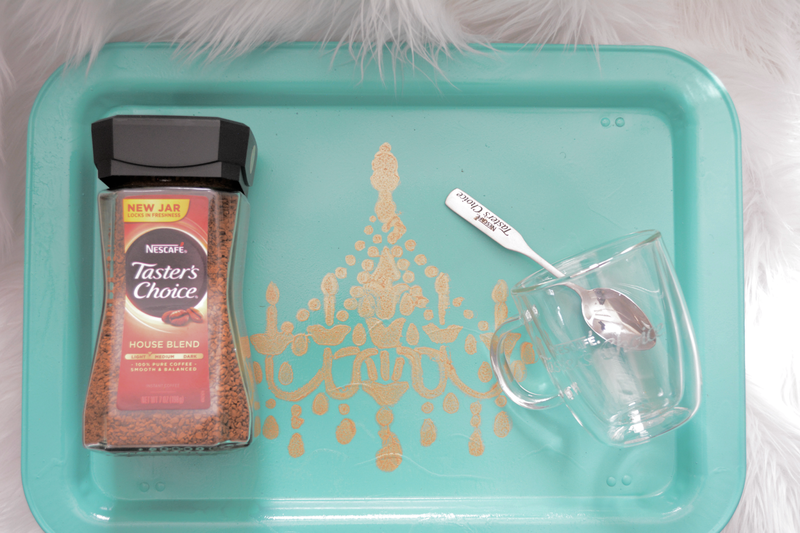 Just like NESCAFÉ® Taster’s Choice® , the tray makeover comes together very fast and easy. With drying time, it still only took about 30 minutes to complete. Instructions: Step 1: Clean tray of debris and rust. 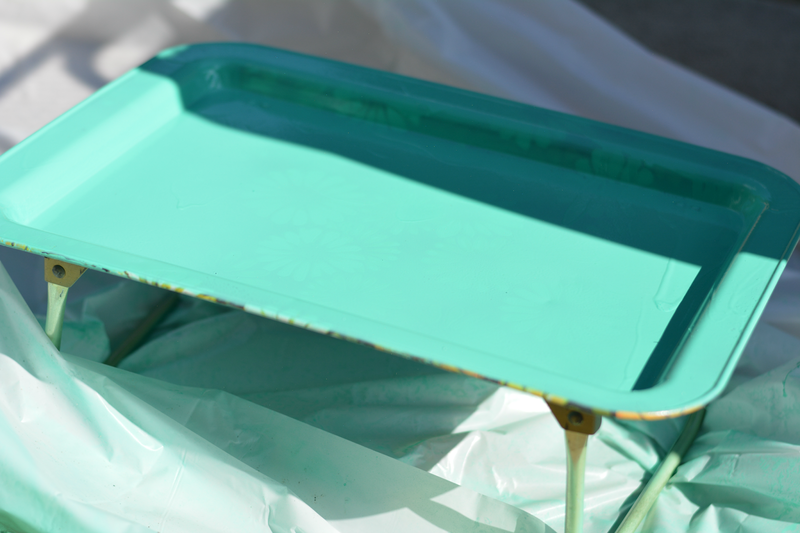 Step 2: Spray paint entire tray. I used 2 coats to completely cover. Those flowers did not disappear easily. Allow time to dry. Step 3: Tape stencil in place. 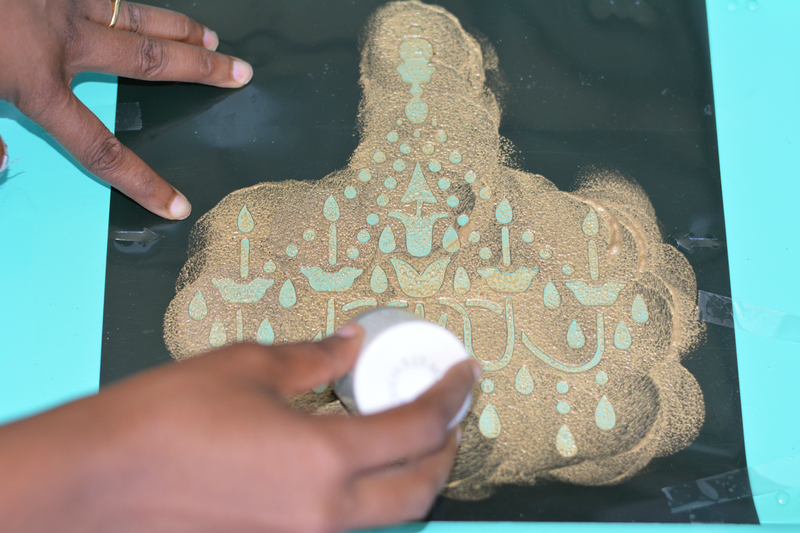 Use sponge to fill in desired design. Allow time to dry. 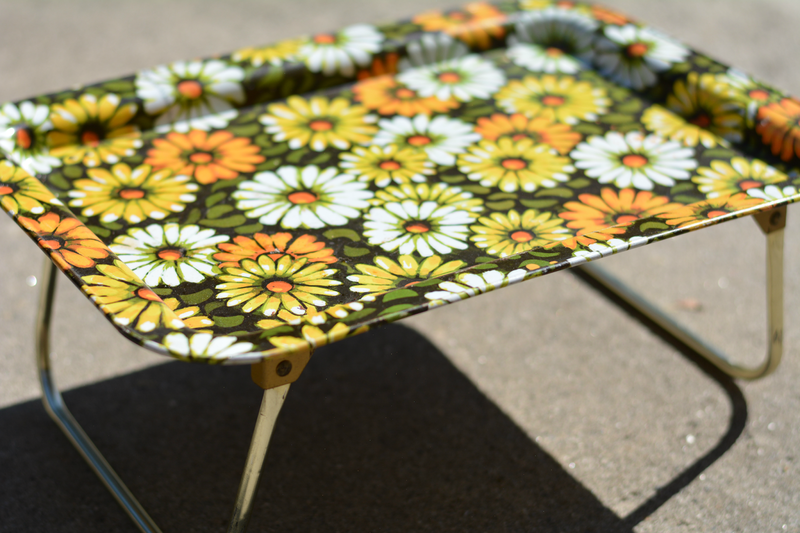 Do you use a breakfast tray?